Solar Energy Devices You Should Use Right Away! The „Green Movement” had a lot of impact on people in the past years making them more aware of the responsibility they have on the environment. The solar energy is very popular nowadays showing us that we can have all the comfort we want without exhausting our natural resources and destroying the environment. What is more, by increasing solar uses as much as we can, we will also see a positive impact on our pockets as the energy bills will start dropping. Sensing the opportunity, many producers decided to explore more the solar energy technology. So, they came on the market with many solar energy devices that make people’s lives a lot easier and help them save money. While there is still room for improvement, there are many interesting devices available which you can use right away. Wireless Solar Keyboard. You can now say goodbye to the battery hassles. You now have the solar energy available to keep your keyboard charged and use it even indoors. In addition, the producers took care to offer a streamline design that impresses most users. It doesn’t need any installation software and the layout is exactly the same as in the case of any other keyboard. Solar lantern. Whether you go out in the garden at night to check on something or you are camping, it is always a great idea to have a lantern with you. But, what do you do when your batteries don’t help you anymore, but you still need your lantern? The solar lantern is the solution. It charges up in maximum 2 hours as long as it is exposed to full sunlight. You can then use it for eight hours. In case you cannot charge it with solar power, this lantern can be easily charged using an USB adapter and plugging it in your computer or socket. Solar chargers. 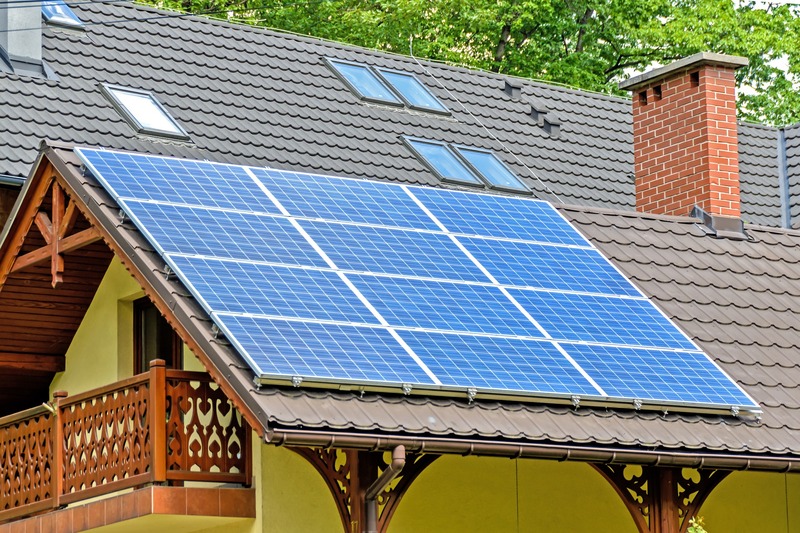 These are among the most popular devices using solar energy. The small dimensions are perfect to carry the chargers with you anywhere. What is more, they are powerful enough to charge your phone, laptop, or other mobile devices. If you want to go big and use the solar energy, even more, you can buy a solar generator which is strong enough to act as an emergency solution for TVs, refrigerators and other devices. Solar Backpack. How cool can it be to carry your laptop in a fashionable backpack and charge it at the same time? You can now choose a solar backpack which uses the solar energy to charge your mobile devices while you are on the go. There are plenty of models on the market, impressing the customers with colors variety and an unobtrusive solar panel. The waterproof zipper and the moisture-wicking fabric make these backpacks extremely appealing for everyone. Solar powered speakers. These solar powered speakers are unique not only because they use the solar energy, but because they can also charge your phone. They offer a top-notch sound quality thanks to the two full-range stereo speakers. You don’t have to worry about the battery as it will last for 8 hours. In addition, it is Bluetooth compatible which allows you to connect it to your phone and play the music you want. Finally, it is water resistant and very durable. So, it is great if you go camping or you spend more time outdoors. The solar energy is clearly a source of inspiration for many producers who want to protect the environment. What is great about it is that the solar-powered devices are sometimes even more efficient than the traditional products. In addition, even though some of them might be a bit pricey, considering that they reduce your energy bill, you will recover your investment very fast.